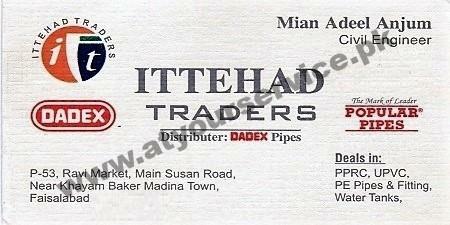 Ittehad Traders is located in Ravi Market, Susan Road, Madina Town, Faisalabad. It deals in PPRC, UPVC and PE Pipes & fittings. It also sells water tanks.